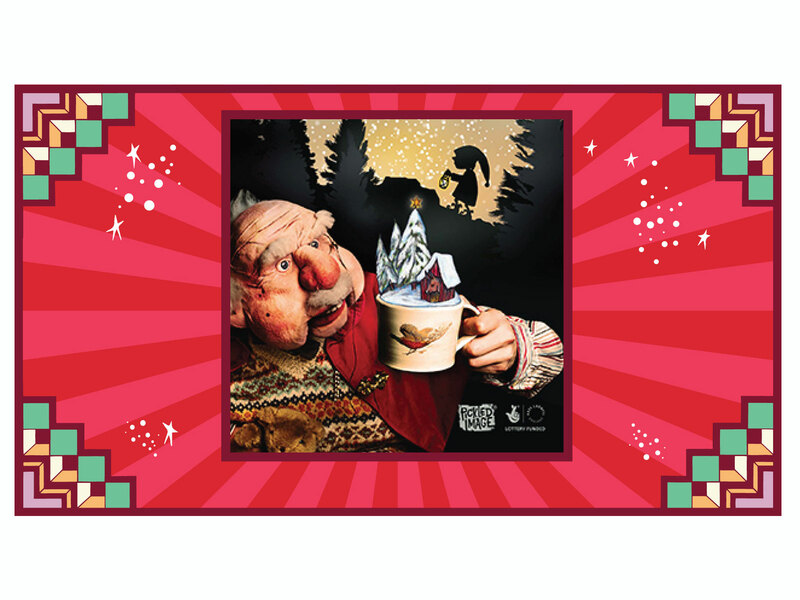 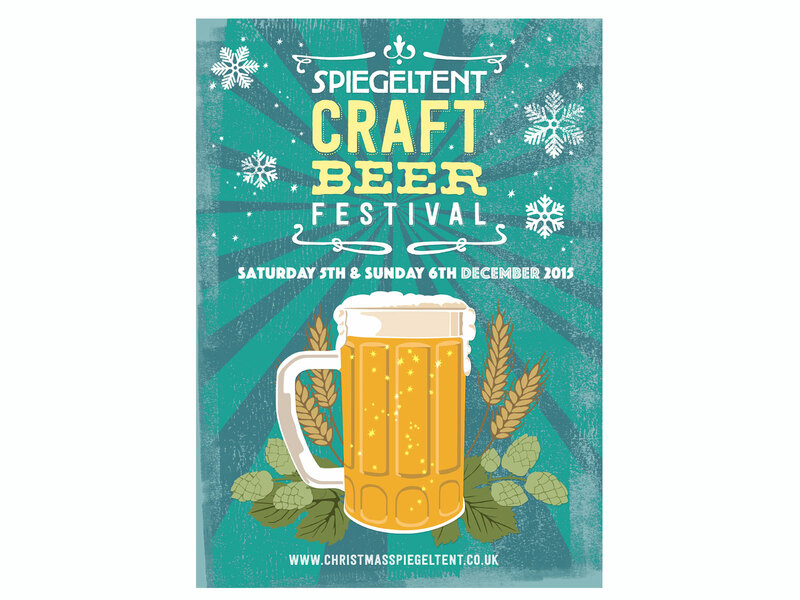 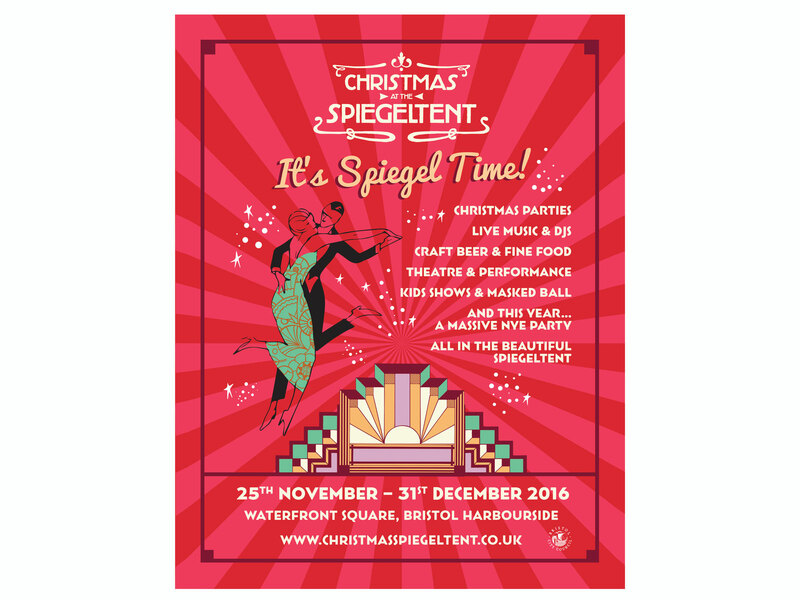 Since 2015 its has been a pleasure working with Christmas at the Spiegeltent. 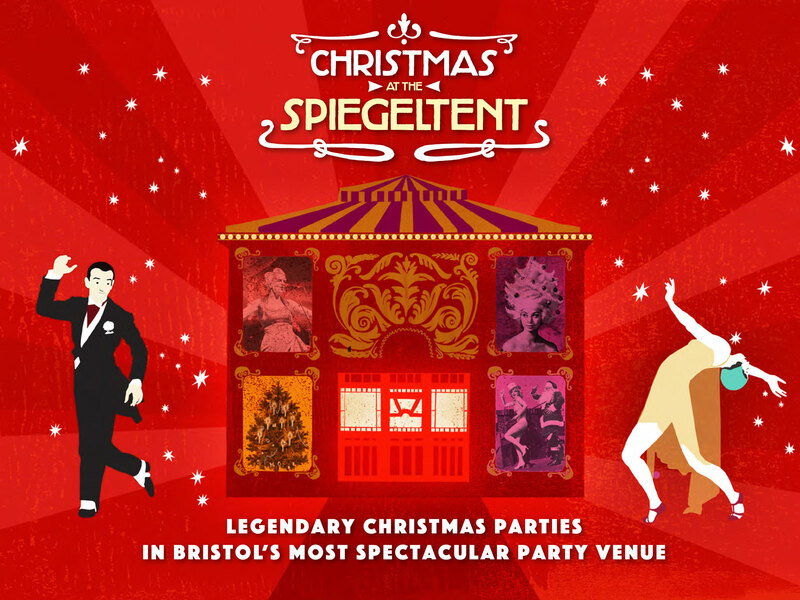 Based in Bristol the Spiegeltent is a firm favourite on the South West’s social calendar, with a fantastic venue at a great location on Bristol’s Harbourside. 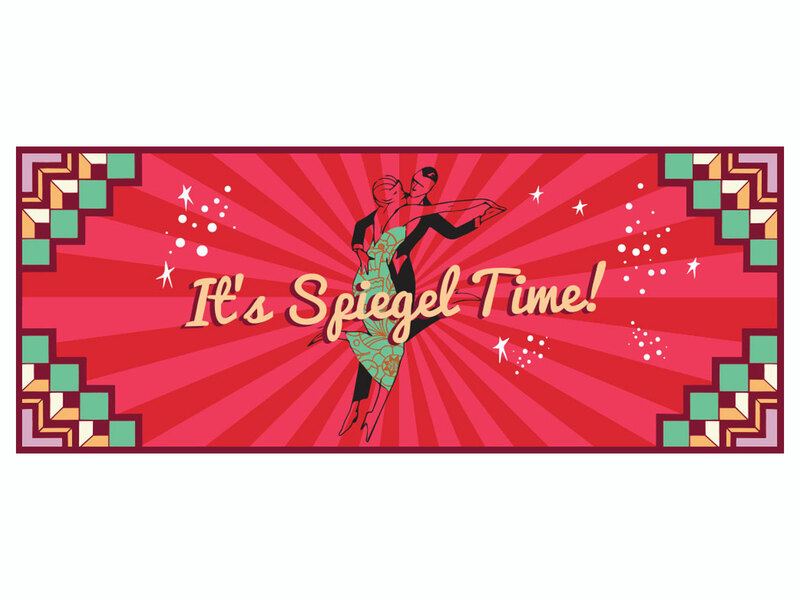 As wiki defines it a Spiegeltent (Dutch for “Mirror Tent”, from spiegel+tent) is a large travelling tent, constructed in wood and canvas and decorated with mirrors and stained glass, intended as an entertainment venue. 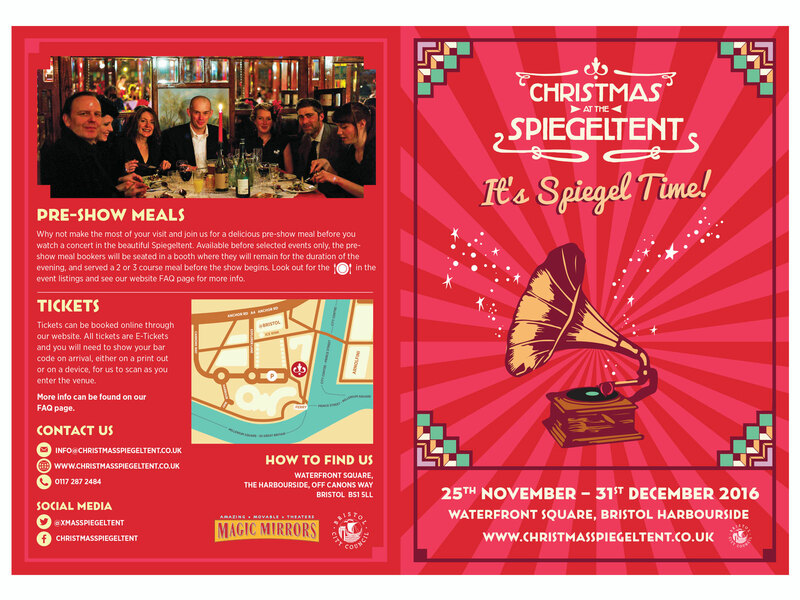 Originally built in Belgium during the late 19th and early 20th Centuries, only a handful of these Spiegeltents remain in existence today, and these survivors continue to travel around Europe and beyond – Christmas at the Spiegeltent is lucky to be using the famous Paradiso tent. 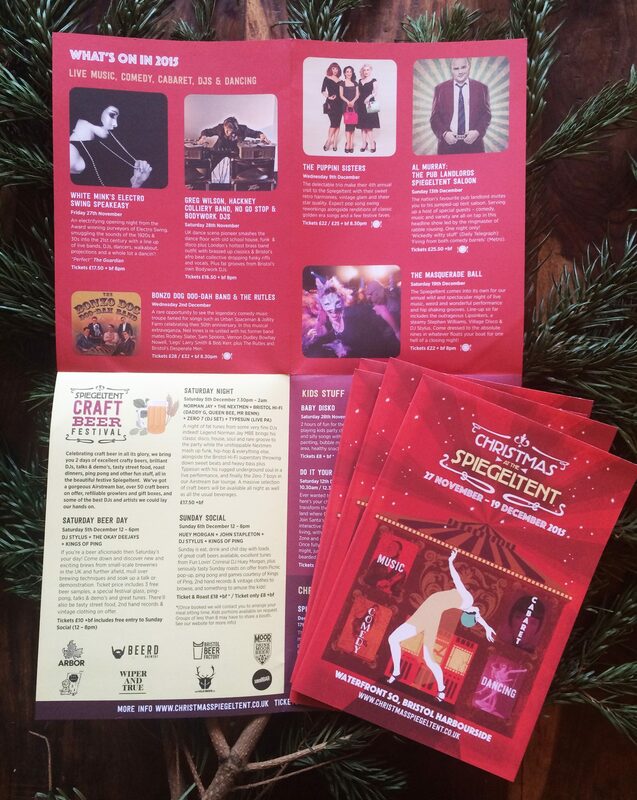 In my design work for them I referenced some of the features of the Paradiso as well as retro stylings and illustrations of classic cabaret acts; flapper dancers, jazz dance, performance… The print and social media images included separate designs for the inaugural Craft Beer festival and Kid’s Events… It a great event to design for!